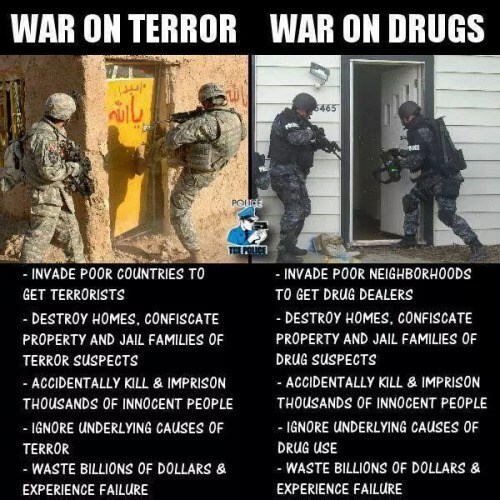 The war on terror is also a war at home; the war on drugs is also a war abroad. U.S. forces keep eliminating “kingpins,” but never get any closer to victory. 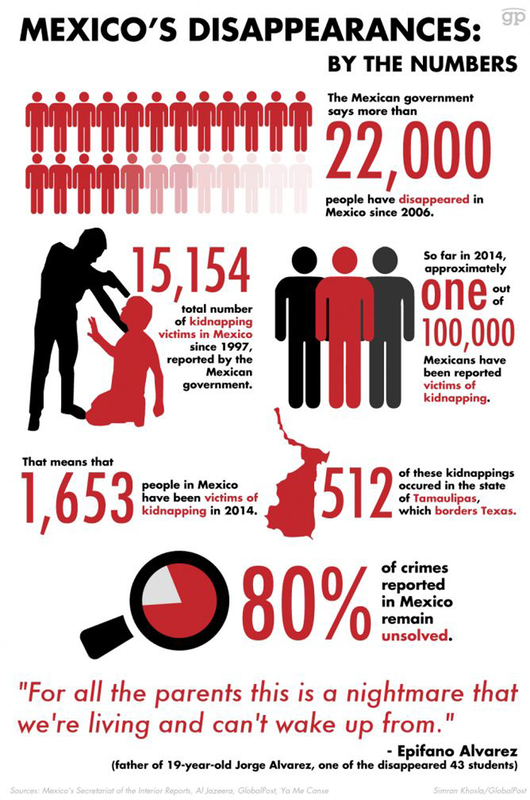 The Mexican drug cartels are just as vicious as the Islamic State and, from the standpoint of Americans, more dangerous. They behead people, they torture and mutilate people and they have more power than the government over vast territories. The main difference is that the drug lords worship money. The United States government has waged a “war on drugs” by the same means by which it has waged a “war on terror,” by treating it as a military problem instead of a crime problem, and with the same failed result. 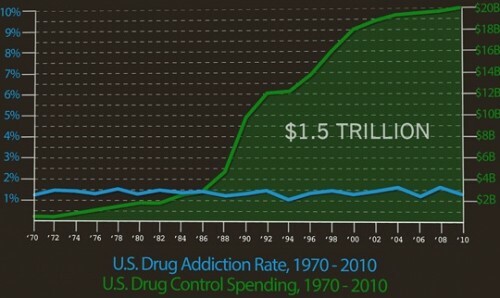 American policy has made the drug problem worse, just as it made terrorism worse. First drug prohibition created a market for the drug cartels, just as, in an earlier era, alcohol prohibition created a market for organized crime in American cities. Then the U.S. encouraged the Mexican government to wage a military campaign, plus torture and warrant-less detention, against the drug-lords, which escalated the conflict and the violence but did not win. What the drug gangs are doing is so horrible that I might be tempted to think this was all right, if it was successful. But it wasn’t. It just meant that Mexicans are terrorized by their own government as well as the criminals. The Drug Enforcement Administration took to working with some of the drug cartels against others. 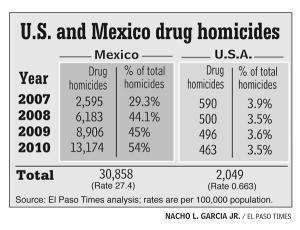 The “Fast and Furious” fiasco, in which the DEA actually supplied guns to a drug gang and then lost track of them, was part of this. But unlike with ISIS, we Americans do not have the option of walking away from the problem. The power of the Mexican drug cartels reaches deep into the United States. Merely liberalizing U.S. drug laws or winding U.S. operations in Mexico will not solve the problem, any more than ending alcohol prohibition solved the problem of organized crime in the USA, or U.S. withdrawal from Afghanistan or Iraq will solve the many problems of those countries. I hope that a smarter person than me can see a way out. Can You Say “Blowback” in Spanish? by Rebecca Gordon for TomDispatch. My post is based largely on this excellent, in depth summary of the situation. 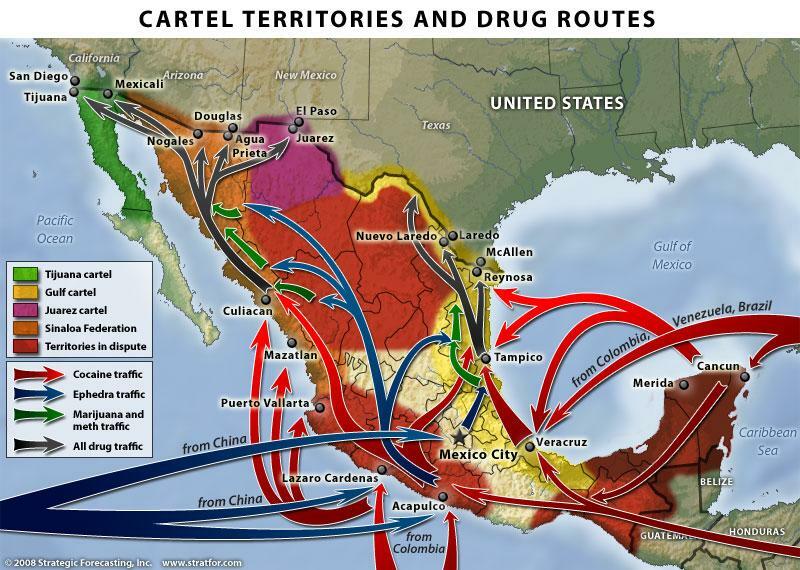 Mexican drug cartels are worse than ISIL by Musa al-Gharbi for Al Jazeera. Why Mexicans are saying they’ve had enough by Ioan Grillo and Simon Kholsa for the Tucson Sentinel. The United States is not a totalitarian country, but there are all-too-many Americans with a totalitarian mentality. The US government’s secrecy problem just got worse by Elizabeth Goiten for Al Jazeera America. A federal judge ruled that the U.S. government is justified in keeping information secret when its disclosure could be used as propaganda by terrorist organizations. In other words, the worse the crime committed by the government, the more reason to keep it secret from the public. In the long run, the best defense against anti-American propaganda is not to commit crimes and abuses of power. This decision goes the other way. It gives the government the legal right to enforce coverups. We already know that the government classifies information as secret in order to cover up mistakes and wrongdoing. This court decision says that the government has a legal right to do this. Why I Will Never, Ever, Go Back to the United States by Niels Gerson Lohman. A Dutch novelist describes his experience trying to cross from Canada into the United States—hours of questioning about his life followed by a determination that he should be barred from the USA because he had visited too many majority-Muslim countries. Many foreigners report that the experience of entering the United States is much like entering the old Soviet Union before it fell. Aside from the wrongness of giving low-level government employees such arbitrary power, is this the face that we Americans want to present to the world? Authors Accept Censors’ Rules to Sell in China by Andrew Jacobs for the New York Times. The Chinese government demands the right to censor and alter books by Americans before it will allow them to be translated and published in China. Many (but not all) American authors go along with this for the sake of royalties in the huge Chinese market. Support for Legalizing Marijuana Grows to Highest Point Ever in Gallup Poll by Ariel Edwards-Levy for the Huffington Post. Gallup reported that 58 percent of Americans favor legalizing marijuana. The war on drugs does great harm, especially to young black men in U.S. cities. But there is a vested interest for continuing in the prison industry and especially among police departments that get income from property seizures in drug cases. In the United States, you are supposed to be considered innocent until proven guilty. But under the civil asset forfeiture laws, the police can take and sell your computer, your car, your house and your cash even if you haven’t been convicted, or even charged, with a crime. All they have to do is to say that they have a reasonable suspicion that the property itself was used in a crime. Police have a strong economic incentive to do this because they get to keep property they seized, sell it and apply the money to their budgets. Not all police departments abuse their power in this way. I never heard any such story about the Rochester Police Department. But many do. The U.S. Department of Justice adds $1 billion a year to its asset forfeiture fund, according to the Institute for Justice, a civil liberties advocate. Nobody knows the figure for state and local police, but it’s probably more. The New Yorker ran a good article about this, The Use and Abuse of Civil Forfeiture, by Sarah Stillman, which I read on-line. Stillman’s report reminds me of reports I used to read about police abuses in poor countries in Latin America, Africa and Asia, where police would shake down travelers and confiscate their property. Sometimes it seems to me that the United States, like the old Soviet Union in the 1970s and 1980s, is becoming a Third World nation in everything except military power. Asset forfeiture was intended to be used as a tool of law enforcement against drug traffickers. But now it is used against ordinary citizens, including anybody from out-of-state who happens to be driving through certain small towns in Texas. Liberty is indivisible. There is no way to give arbitrary power to the police or anybody else, and be sure that it will be used only against people you don’t like. The Fifth Amendment to the U.S. Constitution states that “no person shall … be deprived of life, liberty or property, without due process of law; nor shall private property be taken for public use without just compensation.” I hope the American Civil Liberties Union, Institute for Justice or some other civil liberties group challenges the constitutionality of civil asset forfeiture. Michelle Alexander wrote in The New Jim Crow about how young black men are crushed by the war on drugs, both through discriminatory law enforcement and by loss of legal rights as ex-felons. Unfortunately the federal government’s policies in the past 30 years have created a powerful vested interest in continuing the status quo. Alexander said that if the United States were to return to the incarceration rates of the 1970s, a time when many liberals said rates of imprisonment were too high, it would mean the release of four out of five people currently behind bars today. That would threaten the jobs of the more than 700,000 Americans employed as prison and jail guards, administrators, service workers and other prison personnel. The criminal justice system employed almost 2.4 million people in 2006, she wrote; if four out of five people were released from prison, far more than a million people could lose their jobs. Privatization of prisons means that there are wealthy individuals with a stake in continued mass incarceration. This is politically important. Prison guards unions in California campaigned against the referendum to legalize medical marijuana. Private prison corporations lobbied in favor of the Arizona proof-of-citizenship law aimed at unauthorized immigrants. The existence of a powerful Incarceration Lobby is the result of public policy going back to the Nixon administration and the 1970s drive to “de-fund the left.” Conservatives in the Nixon administration thought that their opposition came not so much from poor people, who would not be poor if they were capable of organizing on their own behalf, as from social workers, public health nurses, guidance counselors and others in the helping professions who advocated for the poor. The Nixon administration established the Law Enforcement Assistance Administration, which provided federal aid for local police departments. It also advocated, unsuccessfully, a guaranteed annual income, which was intended to help poor people while removing the welfare system’s disincentive to work. This later became the Earned Income Tax Credit established under the Clinton administration. I think both these ideas were good on their merits, but they were the beginning of a trend to diminish spending for the helping professions and to increase spending for law enforcement and incarceration. Michelle Alexander picked up the story with the Reagan administration. Ronald Reagan, like Goldwater, Wallace and Nixon, campaigned against two stereotypical figures—the filthy, drug-abusing, draft-dodging hippie, and the idle, drug-abusing, criminally-inclined young black man on the street corner. Yet Reagan’s war on drugs did not go after dope-smoking college students. It was aimed almost entirely at the black ghetto, based on the insight that most white people are skeptical of claims of anti-black discrimination. At the time Reagan announced the war on drugs, many state and local police departments did not consider illegal drug use a top priority. The Reagan administration changed this by means of huge cash grants to law enforcement agencies willing to make the war on drugs a top priority. The size of disbursements was linked to the number of drug arrests. The Pentagon offered military equipment, including grenade launchers and Blackhawk helicopters, to local police departments. Funding for these programs increased under Presidents George H.W. Bush and Bill Clinton. As with other federal grant programs, this was too good an offer for most local governments to refuse. Another financial incentive was established in 1984, when Congress allowed federal law enforcement agencies to retain the value of any assets seized in drug arrests—the drugs themselves, drug-making equipment and conveyances used to transport drugs—and state and local law enforcement to retain 80 percent of the assets’ value. Property or cash could be seized on mere suspicion, and the seizure could occur without notice or hearing. Nobody need be charged with a crime; indeed, the person could be found not guilty and the property still subject to forfeiture. This proved highly lucrative, and was a major incentive to continue the war on drugs. The Obama administration increased federal grants for drug law enforcement twelve-fold—not because there was any evidence of an increased need, but as part of the economic stimulus program. The program enabled a certain number of police officers to keep their jobs in a period of economic austerity, as a cost of ruining the lives and futures of a certain number of poor young black men. Alexander advocated a scaling down of the law enforcement aspect of the war on drugs, and its replacement by drug counseling, job placement and other programs to help young drug users. I agree with her, but I think the prospects for any such program are poor in a situation of economic austerity. If we had a high-wage, full-employment economic as in the 1950s and 1960s, few would object to allowing the rising tide to lift all the boats. As it is, it is more of a lifeboat situation. More jobs for ex-offenders will be perceived as fewer jobs for everyone else. This graphic, which illustrated a two-part series of articles in the Cleveland Plain Dealer in 2008, shows how the war on drugs targets African Americans. Click on If you’re arrested for drugs, you’re more likely to get a second chance if you’re white for the first part of the series. Click on In Cuyahoga County, you’re more likely to get a plea deal if you’re white for the second part. 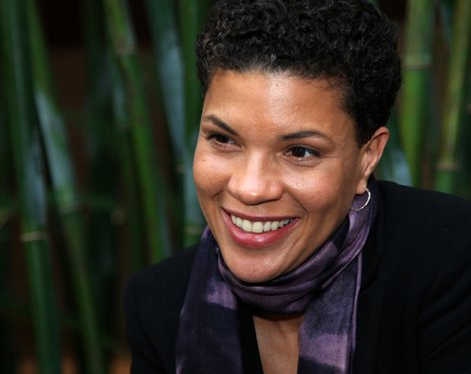 Michelle Alexander in her book, The New Jim Crow: Mass Incarceration in the Age of Colorblindness, showed how racial discrimination has returned to the United States in the guise of the so-called war on drugs. Young black men, and black people in general, are singled out for searches, arrests and punishment based on their race. Surveys show little difference between drug use by white and black Americans. Yet the vast majority of people in prison on drug charges are poor young black men, and the vast majority of black people sentenced to prison are guilty only of drug use. Then by virtue of their criminal records, blacks convicted of drug use become second-class citizens. As felons, they become ineligible by law to serve in the armed forces, to receive federal housing, aid to education or public assistance. In some states, they lose the right to serve on juries or to work in many fields requiring occupational licenses. Very often they lose the right to vote. Moreover, while it is illegal with few exceptions to discriminate against people in hiring, renting or lending on the basis of race, it is perfectly legal to refuse jobs, apartments or loans to convicted felons. This is no small matter. Alexander pointed out that 80 percent of Chicago’s black male work force are felons. Most black felons are guilty only of drug use, a victimless crime. Yet they can go to prison for life for drug use, based on one conviction and two counts on another conviction. Prior to 1988, according to Alexander, the maximum sentence for mere drug use was one year in prison. She said the war on drugs was part of a backlash against the victory of the civil rights movement. Through the 1960s and 1970s, right-wing leaders such as Barry Goldwater, George Wallace, Richard Nixon and Ronald Reagan argued that the real problem was not poverty or racism, but lawbreaking. They said the civil disobedience of Martin Luther King and the sit-in demonstrators legitimated violent crime and the rioting by poor black people in large American cities from 1964 to 1971. When President Reagan announced the war on drugs in 1981, his target was the poor black neighborhoods. Every President since Reagan, including Bill Clinton and Barack Obama, has continued or stepped up the war on drugs. The Fourth Amendment to the Constitution prohibits unreasonable and warrant-less searches and seizures. Civil rights laws prohibit applying a different legal standard to blacks than to whites. But this protection was broken down, court decision by court decision. Police officers are entitled to stop and frisk individuals on the street, or motorists in their cars, based on their personal judgment, provided the decision is not based solely on race. And it is up to the individual to prove that racism is the motive, which is impossible unless the police officer comes right out and admits it. Police have the same discretion in home break-ins. A typical drug search involves a SWAT team breaking down a door in the middle of the night, throwing in smoke grenades and pointing guns at everyone in sight, including children and young people. It doesn’t matter if 90 percent of the searches are of black people, even though black people are not by any measure 90 percent of illegal drug uses. The Supreme Court has ruled that statistical disparities are not relevant in search and seizure cases. You have to prove the individual search was motivated by individual racism or a policy of racism and, in a Catch-22, you do not have standing to subpoena records to provide discrimination unless you already have proved discrimination. The same applies to statistical disparities in sentencing and in everything else. Barack Obama, who was not a poor young black man, admitted to using illegal drugs in his youth, as have Al Gore and Newt Gingrich. If they had been arrested and charged, they would not have had political careers. I’ve never used drugs myself, but I’ve come across a number of people in my life—all of them white, and including many newspaper reporters—who have. Applicants for public housing are barred if they have criminal records. Tenants are expelled if any family members or visitors are involved in drug use, whether on or off the premises and whether or not there is any evidence the tenant knew about it. This is a policy that dates from Bill Clinton. Police have the right to seize cash, automobiles or houses if they can show they have reason to believe the property was involved in drug use. At one time they had free rein to take property and use the proceeds for the budgets of their departments. Now there is an “innocent owner” defense, but the burden of proof is on the owner. If your property is seized, but you are not charged with a crime, you have no right to a court-appointed attorney. Now it is true that these abuses of police power fall on middle-class and white people, and not just on poor black people. Abuses of power are not self-limiting. But being subject to police abuse, going to prison and being cut off from the opportunity to work or to function in society ever after is a typical experience and expectation of young black men in large American cities. And it also is true that there are a lot of things wrong in poor black city neighborhoods, including violent crime, that arise for other reasons. But the war on drugs is not a solution or part of a solution. It is a problem that makes other problems worse. To sum up: It is legal to single out young black men for searches, arrests and prosecution provided you don’t say it is because they are black. And it is legal and in some cases mandatory to bar them from access to employment, housing, education and federal benefits, and from military service, jury service and voting, which are the defining characteristics of citizenship. Click on The New Jim Crow for Michelle Alexander’s summary of her book in Mother Jones. Click on What We Don’t Talk About When We Talk About Jobs for a report by Andy Kroll in Mother Jones. Click on Stopped-and-Frisked For Being a F**king Mutt, for an an audio recording of a routine encounter by New York police and a young black man, along with commentary in The Nation. 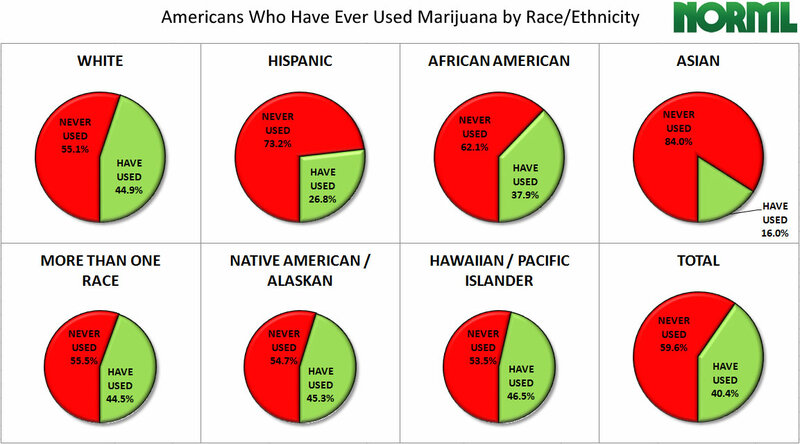 Click on Drug, Alcohol, Tobacco Use Broken Down By Race, Ethnicity for statistics from the U.S. government’s National Study on Drug Use and Health. 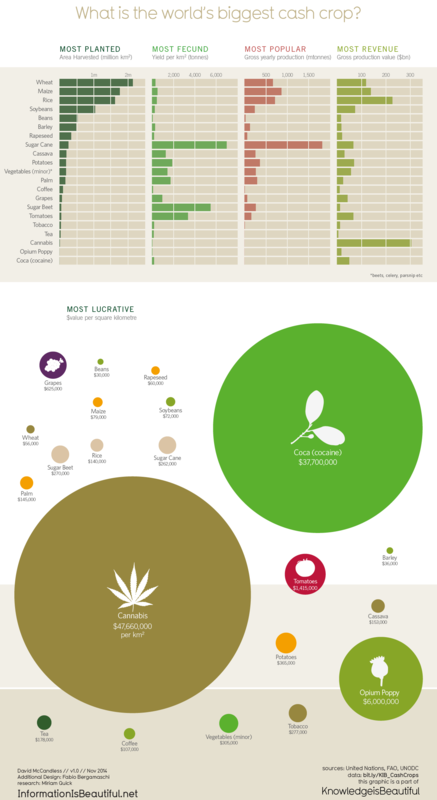 Click on Race, Drugs and Law Enforcement for a report on U.S. drug enforcement by Human Rights Watch. Click on The trouble with “colorblindness” and Baltimore: casualty of a failed drug war for earlier posts of mine. 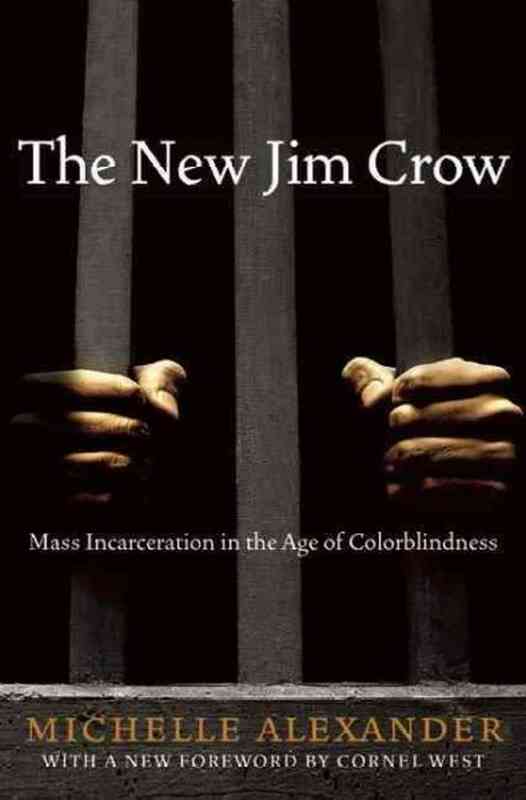 I’m currently reading The New Jim Crow: Mass Incarceration in the Age of Colorblindness by Michelle Alexander. She puts together a lot of things which I sort-of halfway knew, but whose significance I did not fully realize until I read this book. I knew that the enforcement of drug laws was aimed primarily at poor black people. I knew that the “war on drugs” was carried out in disregard of basic civil liberties. 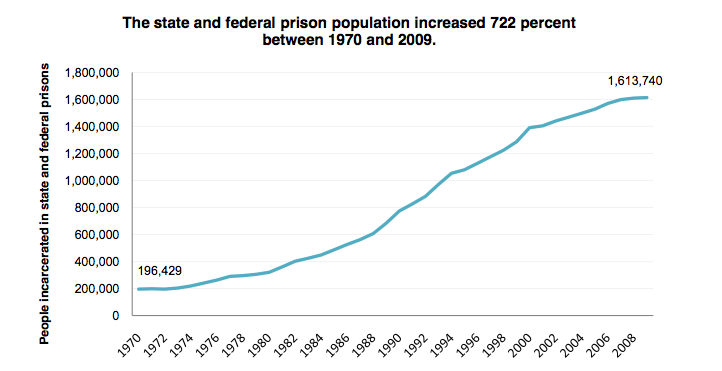 I knew that primarily as a result of the “war on drugs,” huge numbers of young black men are in prison. I knew that conviction of a crime entails loss of basic rights, including, in many states, the right to vote. But it took Michelle Alexander to make me see how this resulted in a disenfranchisement of a large segment of the poor black population. Black people who’ve been convicted of a drug crime can be barred from employment and bank credit, or from voting, just as when segregation was enforced by law. Like many white people, I have always thought, and still think, that Americans should strive to be “colorblind”—that is, to treat people as individuals, regardless of their color or ethnic background. But to Michelle Alexander, “colorblindness” has a very different meaning. To her, it means the pretense that racial prejudice and racial discrimination do not exist. It means, for example, that police can stop and frisk every young black man in a poor neighborhood, so long as they can say they are doing it for reasons other than race, and that the courts and politicians can ignore the disparity. Alexander says that maybe someday the United States will be colorblind in the good sense, but we should not pretend that this day has arrived or will arrive anytime soon. Click on these links for more about racial discrimination in “colorblind” America. What We Don’t Talk About When We Talk About Jobs, a report by Andy Kroll of Mother Jones on racial discrimination in employment and the implications of Michelle Alexander’s book. Stopped-and-Frisked For Being a F**king Mutt, an audio recording of a routine encounter by New York police and a young black man, along with commentary in The Nation. Overcoming Racial Discrimination , a comprehensive roundup of evidence of racial discrimination, including statistics and the experience of black and white testers. Racial discrimination continues to play a part in hiring decisions, for a report on how white job applicants with criminal records had a higher success rate than black applicants with the same qualifications and clean records. Enforcement of the drug laws falls disproportionately on African-Americans, who, according to surveys, do not use illegal drugs in greater numbers than members of other ethnic groups, but account for much more than their share of prisoners serving time for mere use of illegal drugs. Barack Obama, Mitt Romney and the other leaders of the Democratic and Republican parties are all committed to the so-called war on drugs. It is the leaders of the so-called minor parties who want to put a stop to it. Hat tip to KN@PPSTER for the chart. Watch this documentary if you want to see an example of the failure and futility of the war on drugs. The rise of poverty, crime and drug-dealing in Baltimore is related to the decline of high-wage manufacturing industry, such as the big U.S. Steel plant at Sparrows Point. Black people had a narrow window of opportunity between the time that good-paying union jobs in industry were open to them, and the time that U.S. manufacturing industry started to decline. A high-wage, full-employment economy is the best thing that could happen for poor people in cities such as Baltimore. The talk that the so-called war on drugs is actually a war on black people may seem exaggerated, but statistics indicate that there is little difference in rates of drug abuse or use of illegal drugs among white and black Americans, and yet blacks are incarcerated for drug crimes 10 times as frequently as whites. I think this probably is more a result of indifference to the plight of poor black people in urban slums rather than a deliberate policy. I see little immediate hope of change. President Obama is committed to the war on drugs on many fronts, from waging low-level war in Colombia to overriding California’s medical marijuana laws, and I don’t see Gov. Romney changing anything if elected. The most important national figures criticizing the war on drugs are ex-Gov. Gary Johnson of New Mexico, the Libertarian Party candidate for President, and Rep. Ron Paul, the Republican gadfly. Click on Drug, Alcohol, Tobacco Use Broken Down By Race, Ethnicity for statistics from the U.S. government’s latest National Study on Drug Use and Health.